If you're part of the current Nanaimo baby boom generation that's close to retiring, the chances are that you're also considering downsizing to a smaller, more centrally located home. 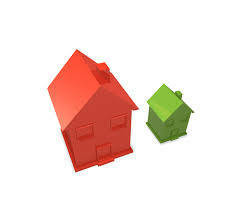 Saying that you are going to downsize is one thing, but actually getting smaller is something completely different. So with that said, here are the five best ways to downsize your home in Nanaimo: First, think about what your actual needs really are. Yes, it's nice having a formal dining room or living room, and it's nice having a fire place in the bedroom, but how often have you really used those? Next - and this is often times the hardest step - go through every closet, cupboard, and storage area and take everything out. Then, only put back the stuff that you have used in the past year. Everything else goes to the kids or to your favorite charity. Third, measure your furniture and favorite area rugs. Get some graphing paper from your local office supply store and make to-scale cut out figures of your furnishings and lamps. This way, when you start seriously looking at smaller places to live you can quickly and easily determine whether or not what you have will fit in your new smaller space. Fourth, now that you've cleared out your storage areas in step number two, spend a little more time thinking about how much storage space you actually need. If you're considering downsizing to a more centrally located, urbanized and walkable area, keep in mind that much of what you might find is going to be older real estate with less storage space. Lastly, start looking for a new place to downsize into. You know what you really need, you've got less stuff and you have a great idea of how what you are going will fit inside your new space. So relax and enjoy the search in Nanaimo for your new, smaller home!